In the middle of the 18th century, the history of Perrelet watch company began. At the age of 20, Abraham-Louis Perrelet (1729-1826) decided to occupy himself with the watchmaking and founded Perrelet watch company. Abraham-Louis was born on January 9, 1729, in Le Locle, Switzerland. Several generations of his family lived in this city since the 14th century. Abraham-Louis' Father, Daniel Perrelet, was a carpenter, a farmer and a talented craftsman, who made some refined tools for the local watchmakers. Abraham-Louis helped his father and soon he realized, that he had a calling for the watchmaking. At the age of 20 he was already involved in the watchmaking business. Perrelet had proven himself as an innovator in the horology. He created the tools for the escapement and gear production. Perrelet was the first watchmaker in Le Locle, who created the watch with a cylinder escapement, a calender escapement, an equation escapement and a duplex escapement. After some time, he enjoyed a wide popularity as a talented inventor and a watchmaker. Perrelet improved the wheels, the pinions, the winding mechanism and fine-tuned the finishing. He devoted himself to the creation of the perpetuum mobile, that is why all Perrelet's watches were equipped with the reliable automatic movements. At that time, the watches could be wound with a small key. So Perrelet, the man of genius, was eager to take off that key. In 1770, he produced the watch with the "hammer" winding system. Later, he invented the rotor, that solved the problems of resistance. 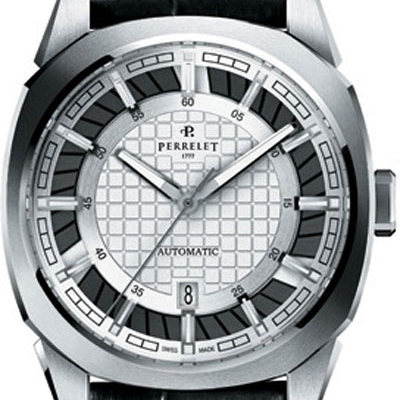 One of Perrelet's great inventions is the automatic movement. However, this invention took on only in 1880, when August Ritter von Lauer, an engineer, used the central rotor in his large-scale production. Among the exhibits of the museum of La Chaux-de-Fonds there is a watch, that was made by Abraham-Louis at the age of 96. Many famous watchmakers were Perrelet's pupils. 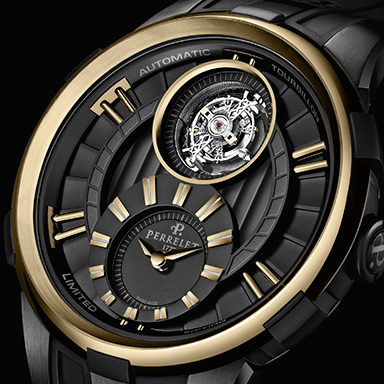 Jacques-Frederic Ure, the father of the Swiss horology, was tought by Perrelet. A whole dynasty of watchmakers continued Perrelet's business. Louis-Frederic Perrelet, Abraham-Louis' grandson, from his childhood was fond of mathematics and mechanics. He was born on May 14, 1781, in Le Locle. Louis-Frederick studied the Horology in Paris. In 1815 he invented Perrelet astronomical clock, that helped him to prove himself as an independent watchmaker. In 1823, his watch was presented at the Universal Exhibition in Paris. Louis-Frederick was the official watchmaker to three French kings: Charles X, Louis XVIII and Louis-Philippe. In 1820, Louis-Frédéric was at the height of his career. He became the member of the private club of watchmakers and proved himself as a great inventor and scientist in many European countries. In 1827, at the Exhibition of Products from French Industry, Louis-Frederick presented his unique Split-Second Chronograph. On September 20, 1827, Perrelet took out a patent for his invention, and in 1830, this watch earned him the Medal of the Academy of Sciences. This chronograph is currently on display at the Patek Philippe museum (in Geneva), it remains one of the best inventions of the Horology of the 19th century. Thanks to the models, developed for the exhibition in 1834, Louis-Frederic was elevated to the rank of Knight of the Legion of Honor. In 1993, Flavio Audemars, a collector of antique watches and a manufacturer, revived Perrelet brand, having established the Perrelet SA firm. Jean Perrelet, the vice-president of the company, is a descendant of the watchmakers from Le Locle. Perrelet SA company produces only automatic wrist watches and only in Switzerland. 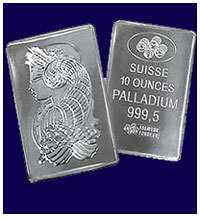 Each model has its technical and aesthetic innovations. In 1995, Perrelet SA company presented its first watch collections: Dipteros I and Dipteros II, the trilogy – Air Zermatt I, Air Zermatt II and James Cook. At the same time, a double rotor, Perrelet SA new invention, was patented. In 1998, Perrelet SA company recreated the great invention of Louis-Frédéric, and presented the collection of 100 split-chronographs. The dial of every model is made by hand, it is distinguished by its perfect guilloche pattern and exceptional colour, and is considered to be unique. The exceptional Rectangle Royale collection was released in three series: Rectangle Royale Chronograph, Lady R and Rectangle Royale Limited Edition. These wrist watches are equipped with the double rotor. 1011A watch was presented in 2007. The model is equipped with the automatic caliber P-121 with an alarm function and a calendar. 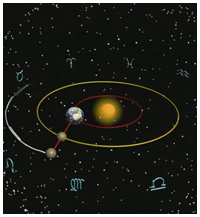 In that year, Perrelet collection was enlarged with another brilliant timepiece – Central Lunar Phase. This men's wrist watch with lunar calendar is equipped with the caliber P-211, and has a wide colour gamma. 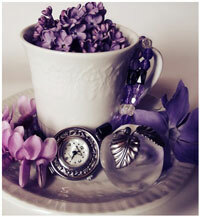 Diamond Flower women's watch, in which the caliber P-181 is housed, was presented in 2008. This model combines two different worlds – the world of mechanics and the world of jewelry. 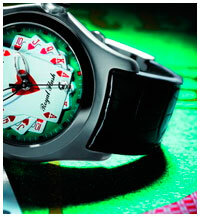 Perrelet watch brand is characterized by the reliability, authenticity, creativity and high quality. Perrelet watch company captures the spirit and the mood of the past. Perrelet company slogan sounds as «Tradition and Innovation». All models by Perrelet are handmade and characterized by their elegant design. There is a serial number on the watch case, that proves the uniqueness of the model.